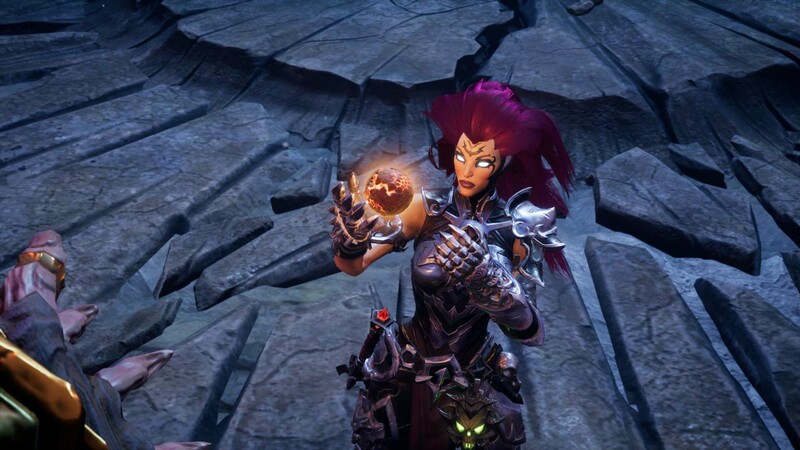 As we enter the final month of 2018 and begin to ponder what our games of the year will be, after playing Darksiders III, I know exactly what I will be picking. Without a shadow of a doubt, this title is my favorite game I’ve played in months. Few games this year have been as satisfyingly challenging, nor have any given me the adrenaline rush of just barely surviving a difficult boss encounter. While there are technical issues that disappointingly brings the game down a few notches, as I sit back and reflect on my time with the game, I recall an experience that brings me to the complete opposite end of anger, ironic perhaps, because in this title the player is Fury. Starting the game off on a positive note, the story begins with a beautifully animated intro that explains some of the series’ lore. Having not played too much of the previous titles in the series, I didn’t know what to expect when it came to the plot. I admittedly figured it would be pretty weak, thankfully I was wrong. For a game which tells the story of one of the four horsemen of the apocalypse tasked with killing and recapturing the souls of the seven deadly sins, I was engaged throughout the entire experience. The plot has some moments that are actually quite dramatic, and it has scenes that are awe inspiringly cool. In large part my engagement with the story was held thanks to a player character who is likable and badass. Fury is a great character and one of my new favorites. Her interactions with the Watcher, a being tasked with keeping an eye on her, is genuinely laugh out loud funny at times, and the character arc of the angry horsemen is wonderfully managed. 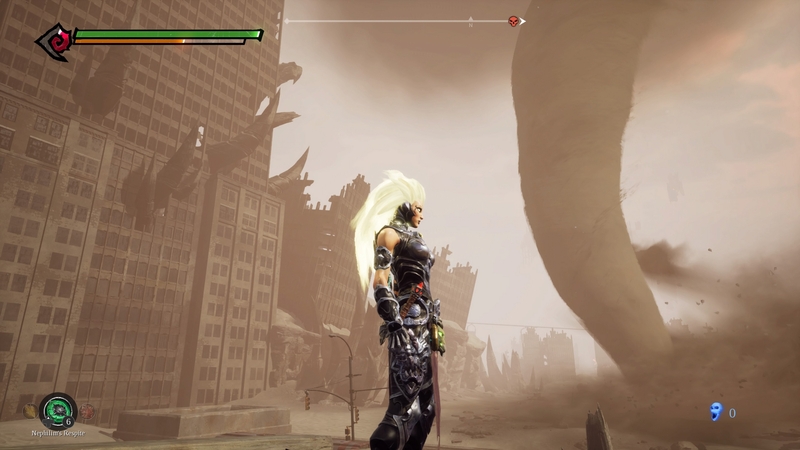 In some cutscenes she exudes a level of badassery that I haven’t seen all year. Without spoiling anything, after winning a late game boss fight that occurs underwater, the way she absorbs this particular Sin’s soul is just cool. She’s an awesome chick through and through. As for the boss fights themselves, they’re well designed. Only one fight didn’t sit too well with me and that was just because I didn’t find their design very enjoyable, but besides that, everything was peachy. 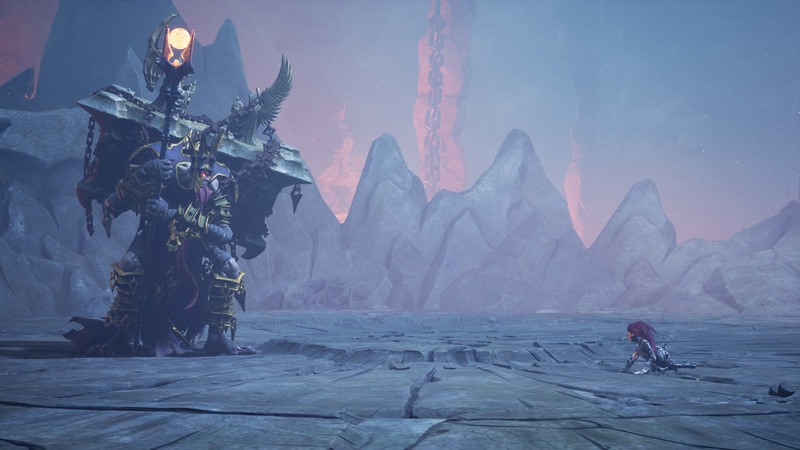 The bosses all look and sound great and they provide one hell of a challenge. The last boss was very well done. Again, no spoilers, but there’s a lot of mechanics and moves to keep track of. When I finally defeated this foe, with hands sweaty and heart pounding, I legitimately stood up and celebrated. It felt great to overcome a tough boss and it got my blood pumping in a way that very few games can manage. For a game that has a very tiny window for hitting a successful dodge, it was highly enjoyable to learn the Seven Sin’s move sets and discover their tells. For my play through I put the game on ‘apocalyptic’, the hardest of the four difficulty settings, and while it got immensely challenging at times, I never once felt the game was unfair. The balance within the game is spot on and anytime I failed I knew it was due to my own mistakes. It felt nice to be pushed by a title to quite literally get good. 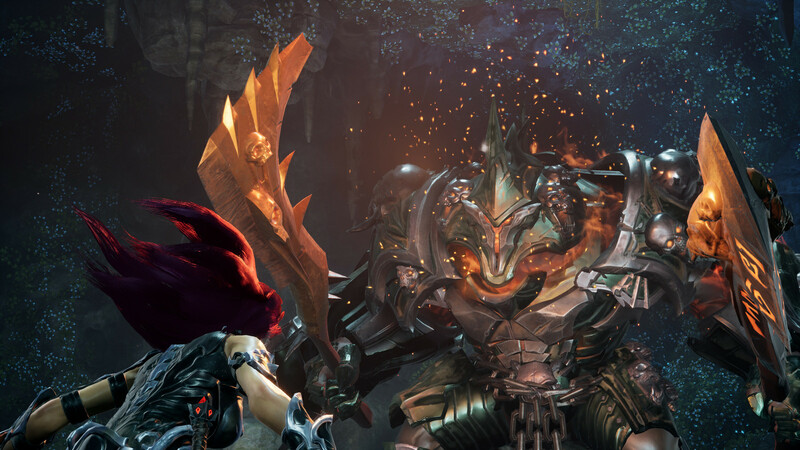 Combat boils down to combos that can be chained together with various button presses. As the title goes on new weapons and abilities are unlocked which can be chained together in satisfying combinations. One of the menu screens has a chart for all the various combos which has an old school look to it that I think many people will appreciate. 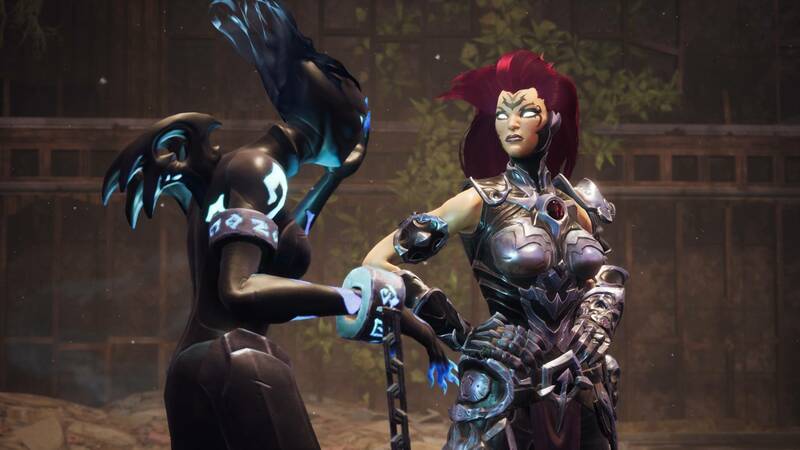 The main weapon in Fury’s arsenal is her whip called the Barbs of Scorn. It’s satisfying to wield and it’s the main weapon I used throughout the game. As the game progresses you unlock new weapons that for the sake of spoilers I won’t describe, but they’re all pretty neat. Each new weapon minus one, comes with a new elemental ability called a Hollow that can be activated by pressing the left bumper and any of the face buttons on the controller. These abilities add new means of traversing the environment and ways to get past obstacles you couldn’t pass before. On top of all that are two magic abilities. 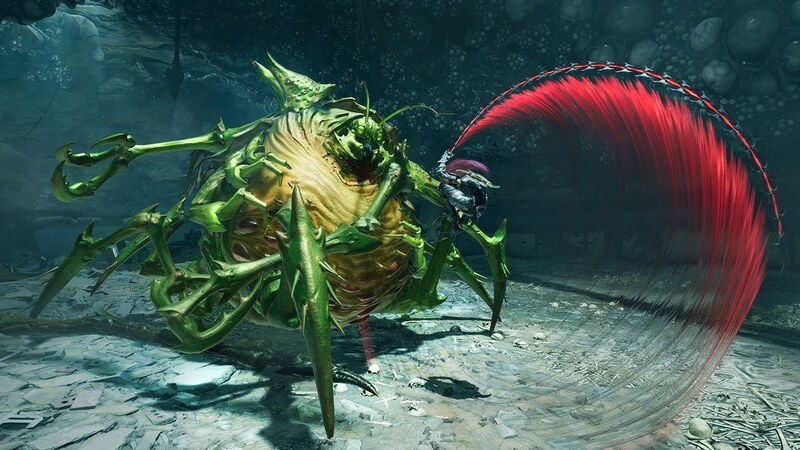 One is called Havoc and it makes you a giant murderous beast, and the other, called Wrath attack, changes depending on what hollow you have activated. Adding some layer of depth to the weapons are enhancements that can be applied to each one which provide various stat boosts. These enhancements can be further upgraded via a returning character from previous titles. Upgrading enhancements requires one of two types of artifacts that can be found with careful exploration of the game’s many areas. To achieve the highest level upgrade the player also needs an Essence of a Chosen, of which by my count there are only five within the entire game. These must be acquired through the defeat of mini bosses which are hidden behind secret paths. Just like the enhancements, weapons can be upgraded too. This requires one of four different types of Adamantine, items which become more rare the higher you need to upgrade a weapon. Playing carefully and thoroughly throughout each area I didn’t struggle to find the materials necessary to achieve my upgrades. By the end of my playthrough a couple weapons were upgraded to max level. It could have been more, but I began to sell items for souls once I had the weapons I primarily used leveled up to a good place. Selling items is done through a character which acts like a Souls series bonfire that levels Fury up, serves as a save point, and fast travel hub. Leveling up is accomplished via souls, an item you acquire as you kill enemies and discover cache drops within the environment. Upon leveling up the player is given one attribute point which can be dumped into one of three areas. Health, Strength, and Arcane. Of which I primarily focused on the first two. One thing that surprised me about this game is how it borrows a few cues from Dark Souls. Upon death you drop the souls you’re carrying and must work your way back to acquire them. The game is more forgiving than the Souls series in that they don’t always immediately vanish upon a second death, but it was a welcome surprise nonetheless. In many ways the boss fights are also semi Souls like, except for the speed and the way combat plays out. 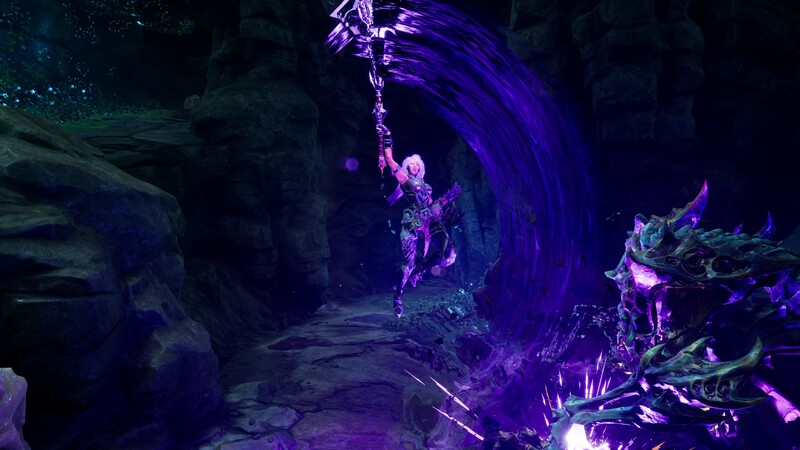 It’s as if Bayonetta and Dark Souls had a baby, except instead of being a crying burden, this one immediately gets to work and pulls its weight. 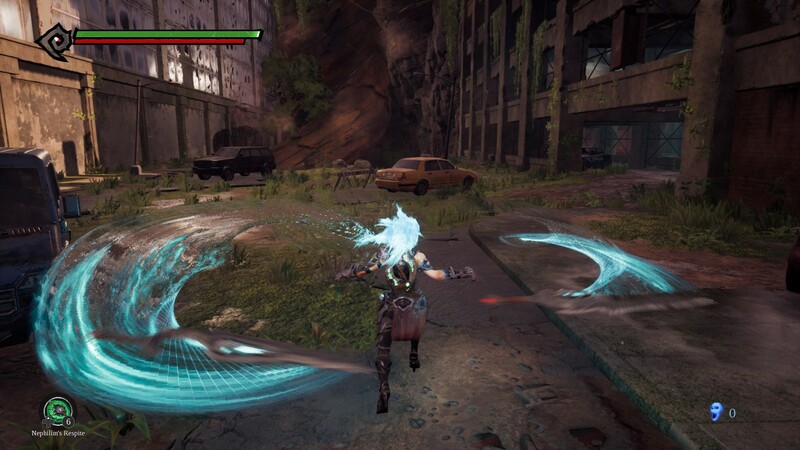 Aiding the player in combat is an item called Nephilim’s Respite. This acts like a health flask and with a press of the directional pad you almost instantly heal. Also linked to the D-pad are items that provide different boosts. The use of just one of them comes with a fairly hefty cool down timer that in fast paced boss fights needs to be appropriately managed. One item which negated a fatal blow was immensely helpful in some of the toughest fights. 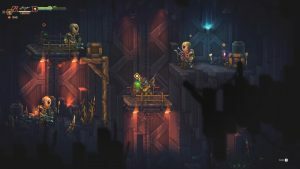 However, in one of the more uniquely challenging game design decisions of the year, and one I think is genius when it comes to keeping a game tough, is that every time you buy a quick boosting item, it’s price permanently goes up. 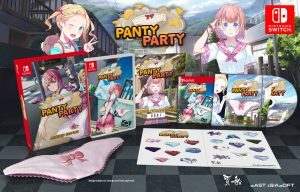 This not only prevents stocking up on items that can make the game easier, but with currency tied into the same material you need to level up, it makes for a tough choice at times. Going into a boss fight do I want a strength shard which will have me hitting harder, or would I rather attempt to level myself up permanently. Thankfully, some of these helpful shards can be found within the game world itself. 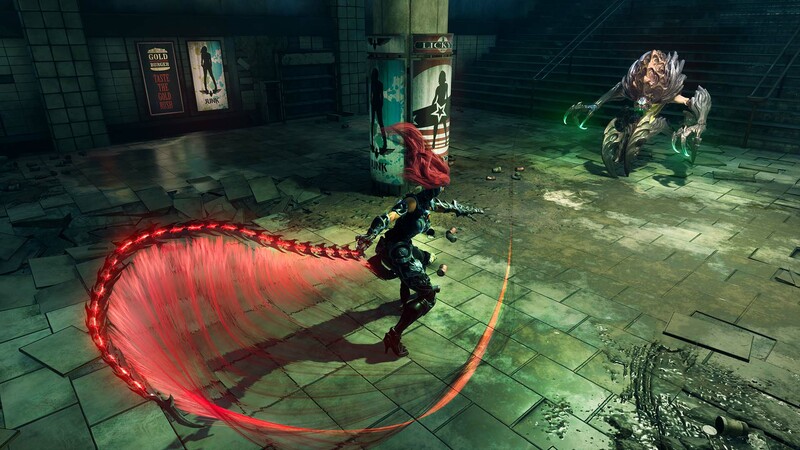 Broken into six different environments which are all elaborately connected, players will explore everything from a bug infested subway station to a dilapidated shipyard which is overrun with combative angels. Scattered throughout each area are humans to be found and saved. 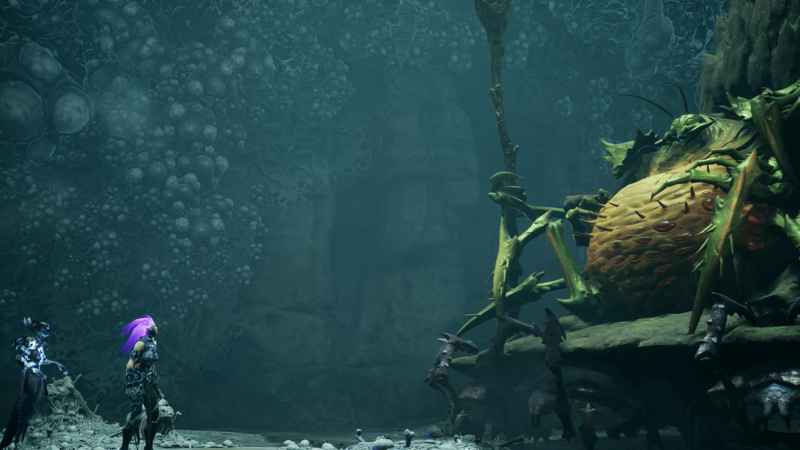 This serves as the game’s only true side quest minus a handful of optional mini bosses. Exploration is mostly enjoyable and I didn’t get tired of returning to old areas to search for new paths or secrets which could be discovered only after learning a new ability. Traversing the map, especially towards the middle to end of the game is where many of the technical issues show their ugly head. It’s an open world in the sense that everything is connected and many areas you can see off in the distance when high above the map in the early areas, but what should be a load free experience is rife with pauses in the action. Sometimes the screen would freeze often with a loading icon in the corner. It wouldn’t be so bad if each new area had just a single load to pop things into existence, but there were times where I’d take a few steps, hit a load, walk for five more seconds, get another load, only to move a few more feet for one more. I even had it happen during combat. 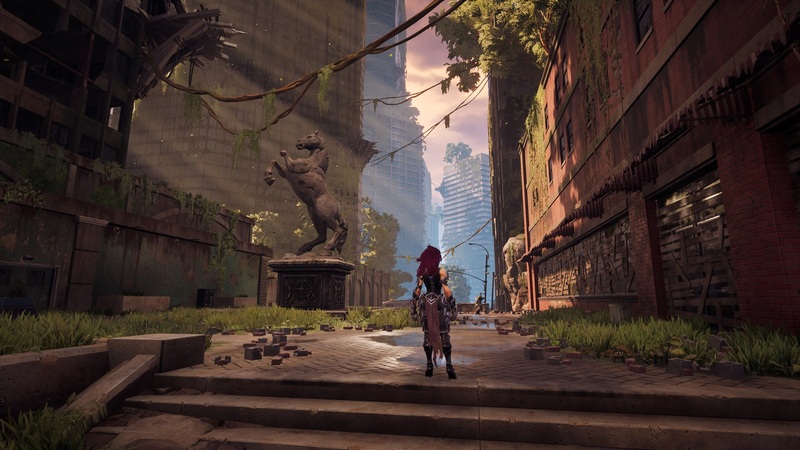 It doesn’t appear the game had the right engine to fully run the game how it was meant to be played, but it is worth noting that the game will have a day one patch which has yet to be released for my review copy version of the game. Other technical problems is one massively annoying one where Fury wouldn’t grab ledges. There were moments I would have to jump up towards a ledge upwards of five to ten times before she’d finally achieve the animation in which she hoists herself up. My game also crashed a few times, but for some reason that seems to be the norm on any new game I’ve played on my household’s two PS4 Pros this year. Sound also has problems. In specific areas it would become as if my speaker had been submerged into water. Either coming out completely distorted or cutting out altogether. An elevator near the weapon smith always did this no matter what. When the sound does work, it’s mostly great. Some sound effects were questionable and at times the sound mixing seemed off. A creature could be above me and off center by 30+ feet while being separated by concrete but it’d sound as if they were to my right and screaming into one ear. Those qualms aside, most of it does its job. I was especially fond of the music. 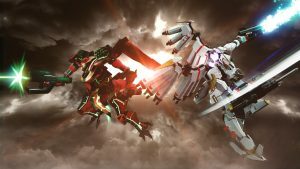 Given this series details a war between Heaven and Hell one must expect an epic soundtrack, and boy does this game deliver. If I had to pick one issue, it’d be that certain tracks didn’t show up enough. Seriously, some of the music is awesome. One orchestral string section towards the end of the game has me considering obtaining the soundtrack just for that song alone. The voice work is solid too and the voice actress behind Fury did good work bringing her to life. What initially seemed like a one dimensional character pre-release is actually full of depth and her delivery is well done. The bosses all sound good as well, but my favorite delivery probably came from the Watcher. There’s a cheesy over the top nature to some of the delivery of character’s lines, but it fits the tone of the game nicely and I think that was the intent. 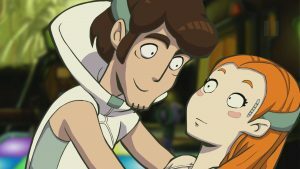 Overall the voice cast did a good job and I was pleased by most, if not all of it. 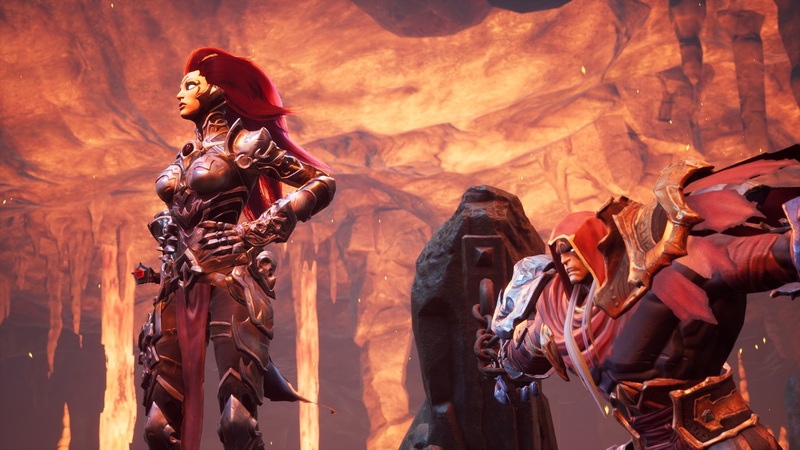 After just under 30 hours, and with a 91% trophy achievement rate, I did almost everything I could in this game, and as stated above, Darksiders III is definitely my game of the year. As a fan of it I’ve already started a new playthrough just for fun. It may be rough around the edges, but as I reflect back on my time with it I’m only greeted with positive memories. It’s a challenging title that pushed me in all the right ways, and it contains a story that was surprisingly good. There are a few qualms here and there, like its technical issues, and at the end of the day I wish it offered more enemy variety, but even when considering those problems, the game is a blast. Gunfire Games, the studio behind this title, did a wonderful job and unlike most other games that I play. I actually look forward to what the future DLC may hold, and given the slight tease at a sequel the story ends on, I’m now anxiously awaiting a fourth game. 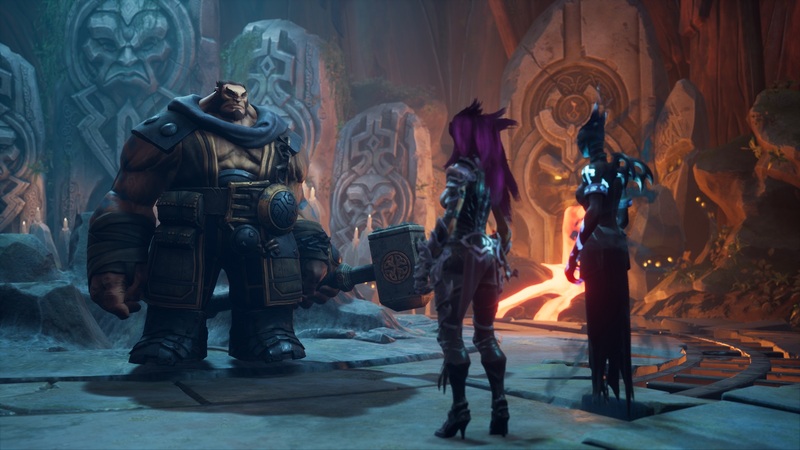 Darksiders III was reviewed on PlayStation 4 using a review copy provided by THQ Nordic. You can find additional information about Niche Gamer’s reviews/ethics policy here. The game has technical issues that may require at least one or two patches, thankfully I’ve been assured there will be something on day one.